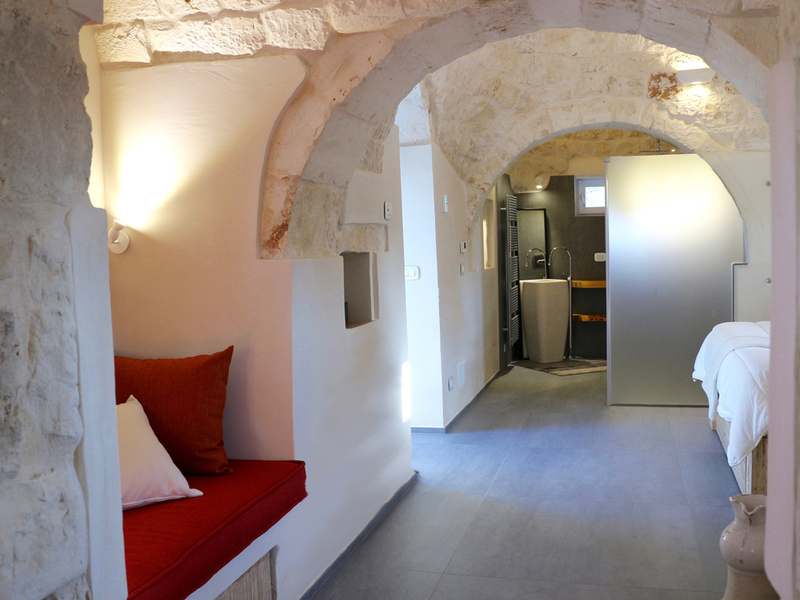 Relais Villa Aieni. Valley of Istria. San Vito dei Normanni. The property filmed by a drone. The property is surrounded by two acres of land. Relais Villa Aieni. Istria. San Vito dei Normanni. The "six cones" that make up the old structure overlook the swimming pool, 50 feet long, ideal for those who love swimming and for children who have been reserved for a shallow area. Relais Villa Aieni. Istria. San Vito dei Normanni. In the image is visible both the old part, with the "six cones", and the new part of the villa that houses the "living area" with a large outdoor space and a super-equipped kitchen. Relais Villa Aieni. Istria. San Vito dei Normanni. 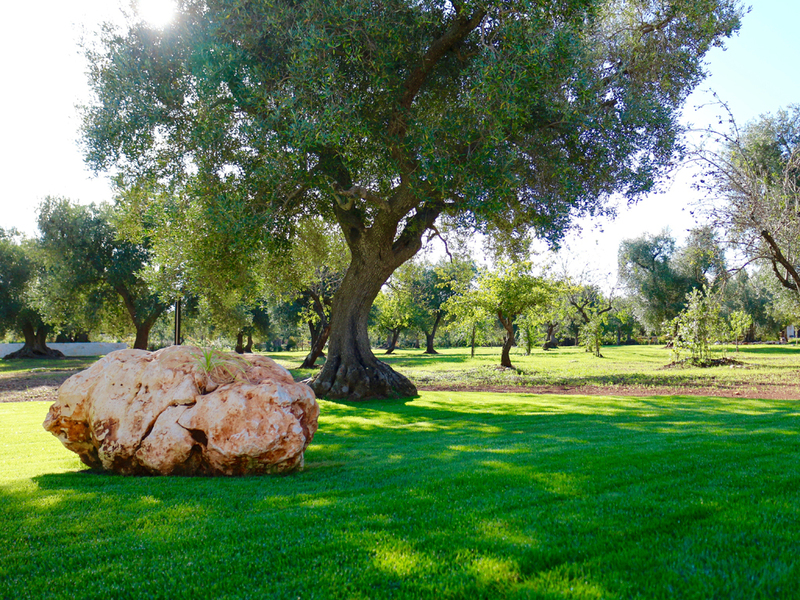 Fruit trees, centuries-old olive trees and a large garden surround the villa. Relais Villa Aieni. Istria. San Vito dei Normanni. Still the "six cones" that identify the old structure and overlook the pool. Relais Villa Aieni. Istria. San Vito dei Normanni. The structure can accommodate up to eight people. 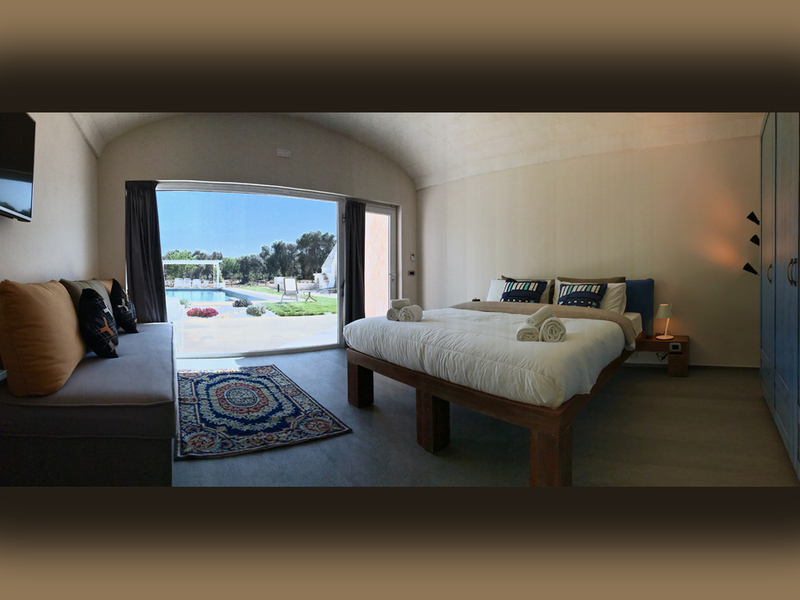 There are three bedrooms, in the picture the master suite overlooking the pool. Relais Villa Aieni. Istria. San Vito dei Normanni. 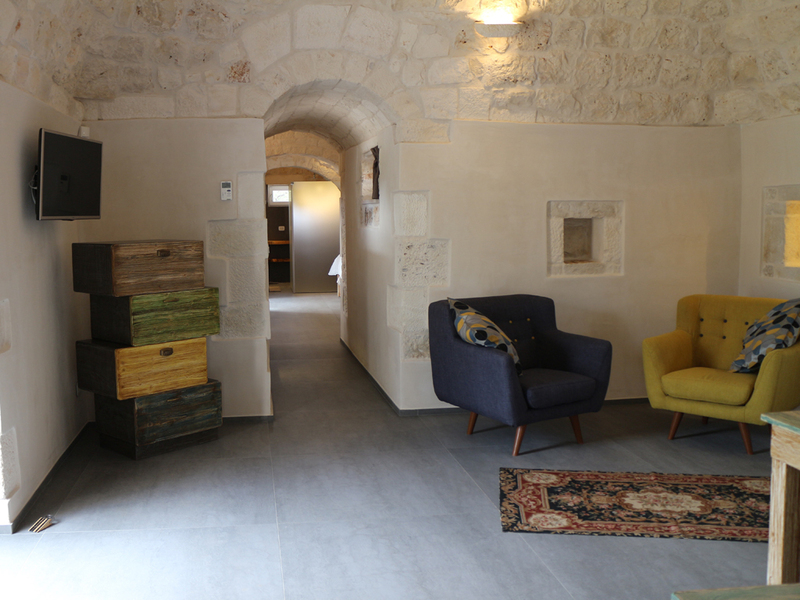 An image of the corridor, always in the old part of the structure, from which you access the master bedroom. 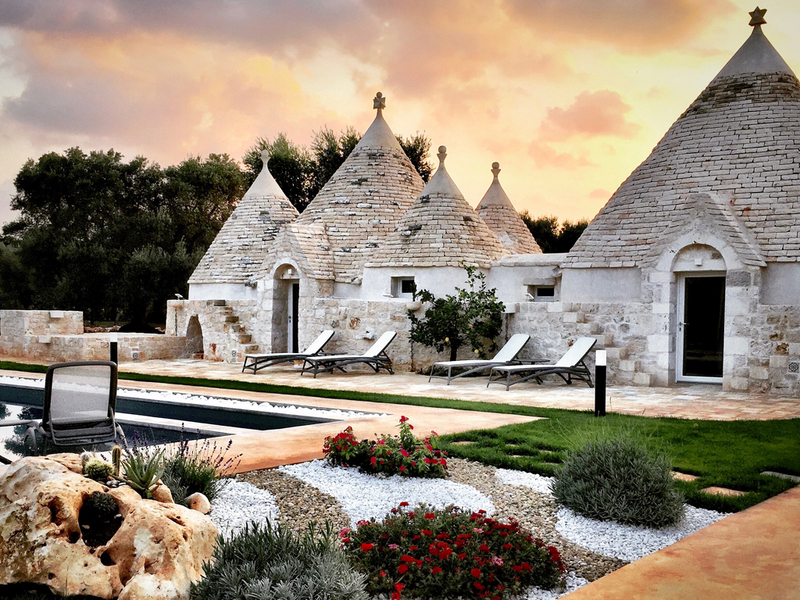 Relais Villa Aieni. Istria. San Vito dei Normanni. The three bedrooms have independent access to both the garden and the pool. Relais Villa Aieni. Istria. San Vito dei Normanni. The "six cones" at sunset. 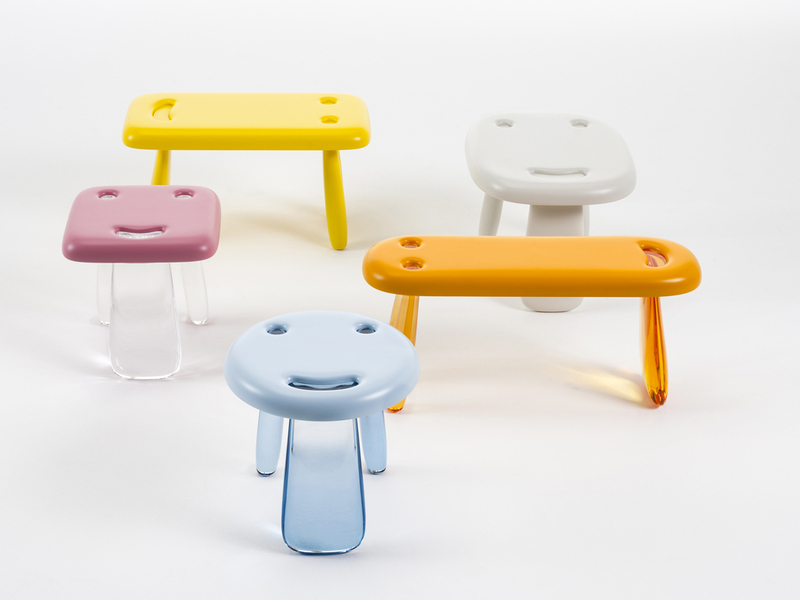 The outdoor furniture is from the Nardi, Scolaro collection. Relais Villa Aieni. Istria. San Vito dei Normanni. 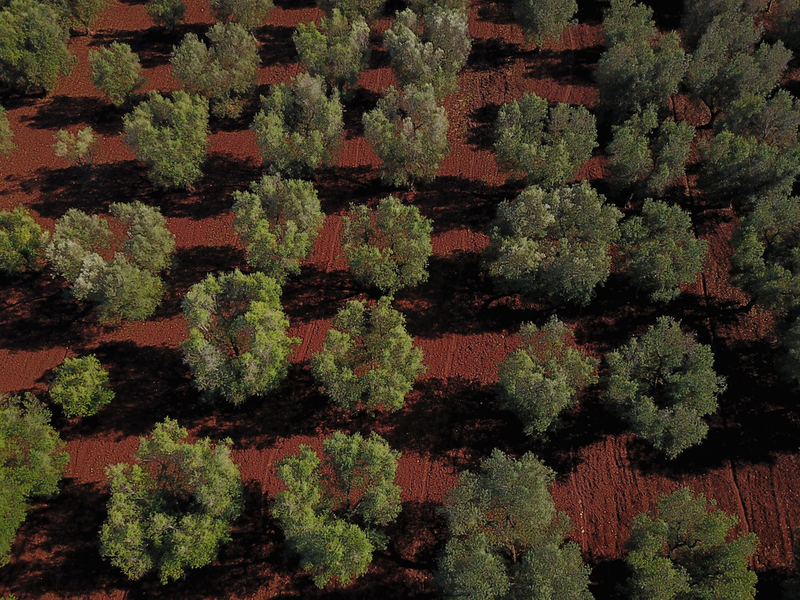 The olive groves surrounding the property and the typical "red earth" that distinguishes the area of the Murge Plateau. Relais Villa Aieni. Istria. San Vito dei Normanni. Still a view of the garden surrounding the property. Relax and privacy that surrounds you. 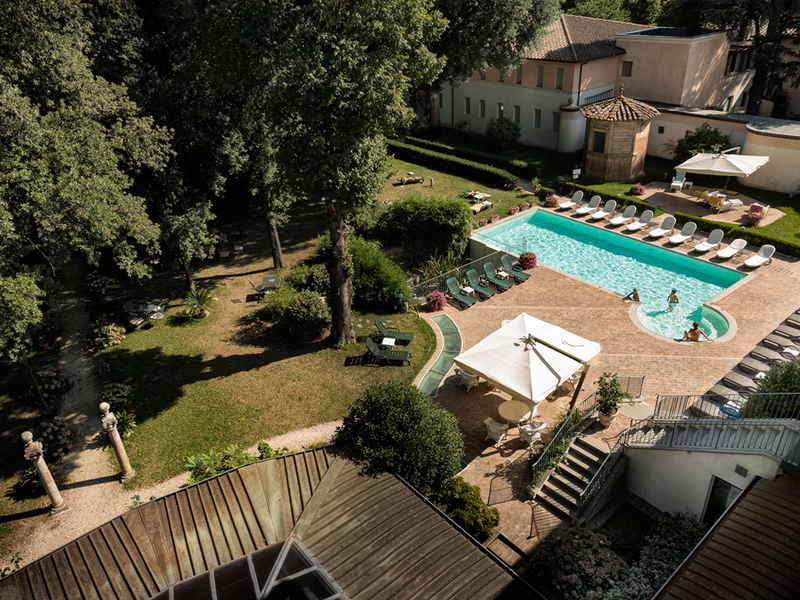 Relais Villa Aieni. Istria. San Vito dei Normanni. 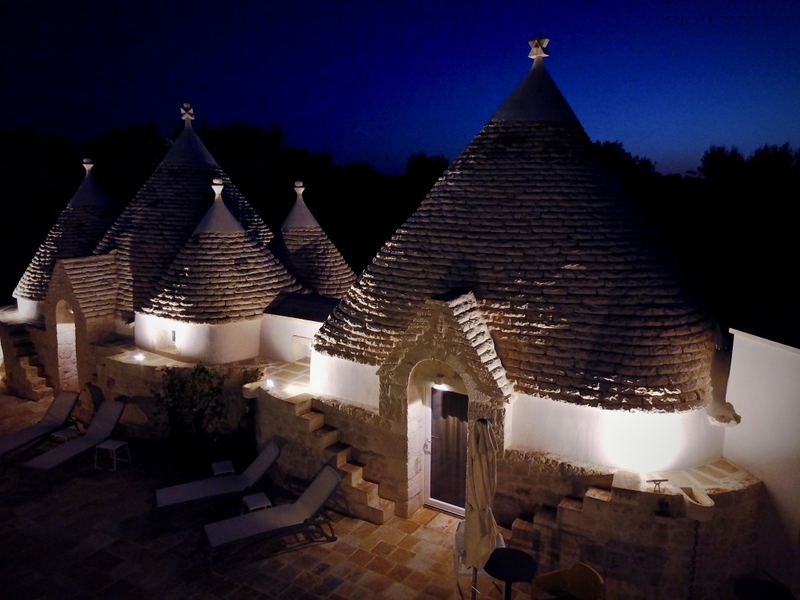 The trullo as it was before the renovation completed in 2016. 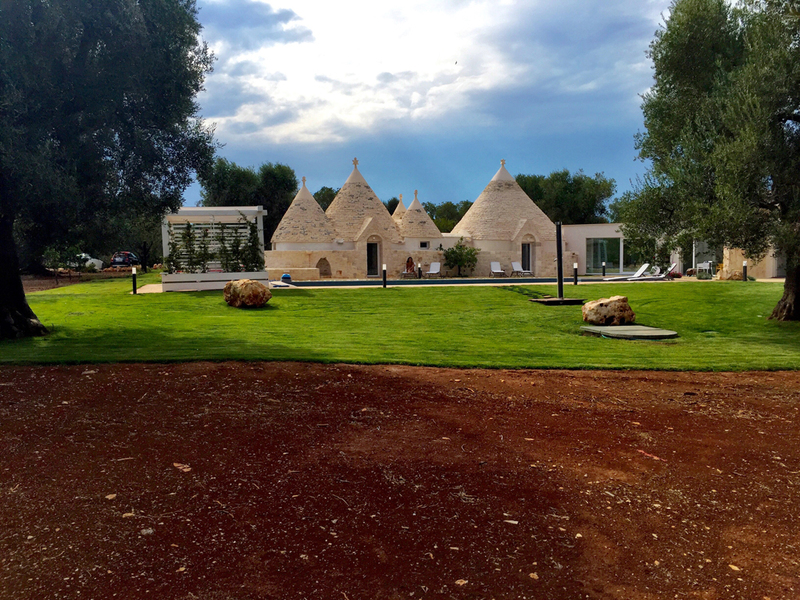 We are in Salento, Puglia, Valley of Itria. To me it’s a second home. This corner of Italy has given me love, friendships that accompany me from a lifetime and moments of unique joy and happiness. 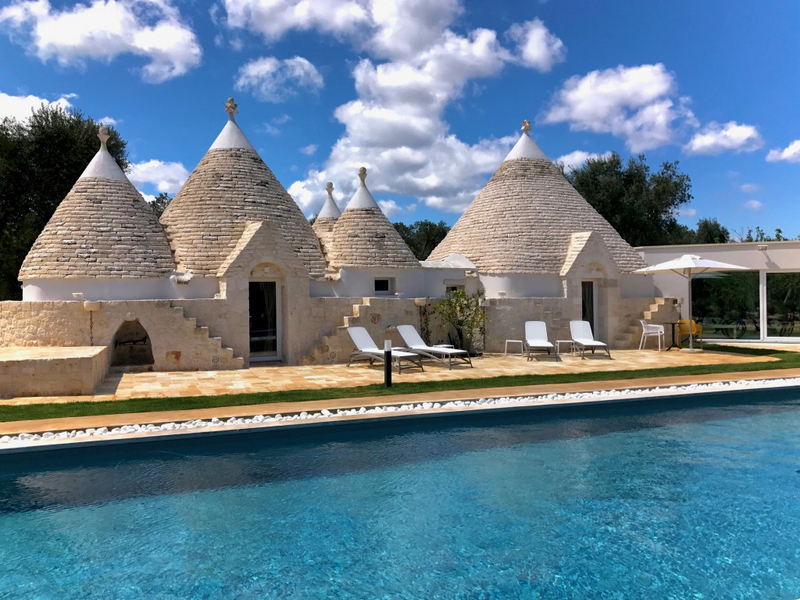 The Valley of Istria is in the center of Puglia and corresponds to the southern part of the Murge Plateau, known as the “Valley of the Trulli” – typical stone houses in the shape of a cone. 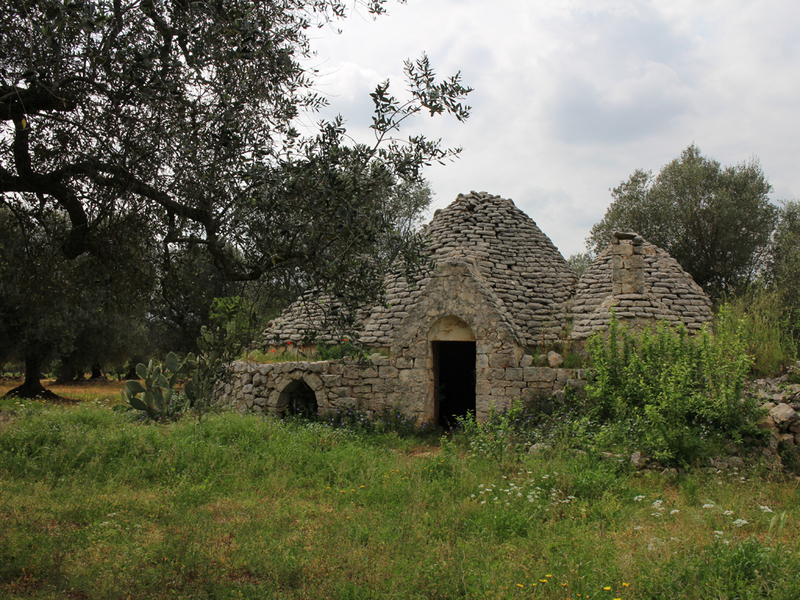 The area is distinguished by the rural landscape, the high use of local stone – the Lecce stone – and the so-called “red earth”. 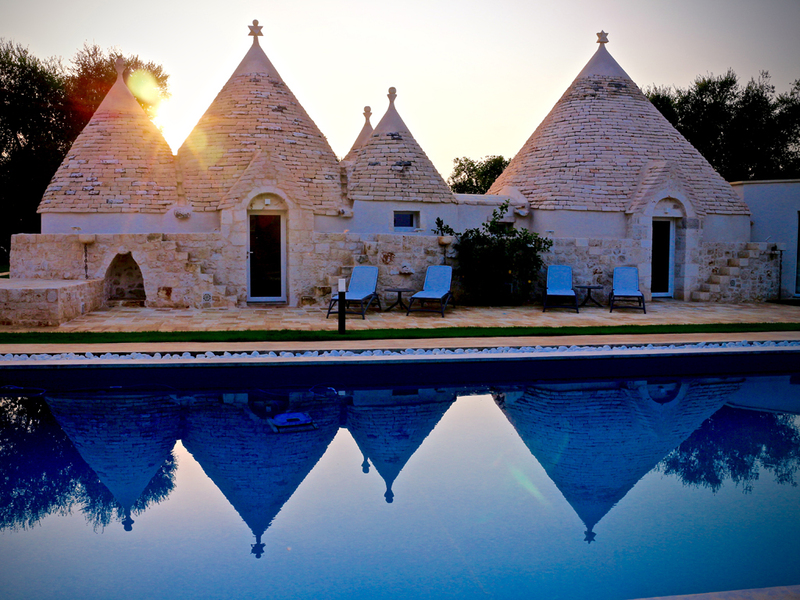 Villa Aieni, is located in San Vito dei Normanni and once was a trullo. The picture of the transformation is spectacular. 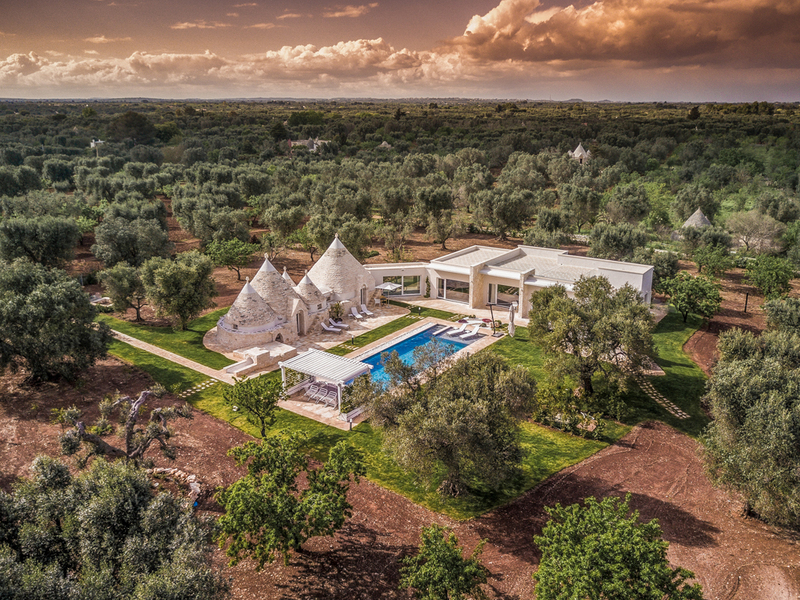 The current structure, completed at the end of 2016, is a mix of contemporary style and traditional Apulian architecture. I find it gorgeous and ideal for a relaxing vacation in nature with family or a group of friends. 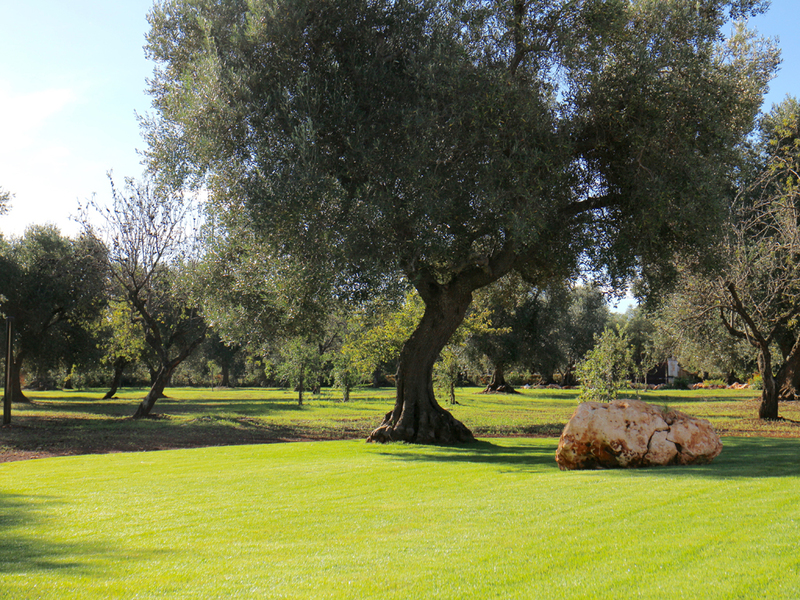 Twenty thousand square meters of land, with fruit trees and secular olive trees, welcome and embrace the estate that can accommodate up to eight people. The “six cones” that make up the old structure, host the sleeping area, dining room and several sitting areas / study areas. 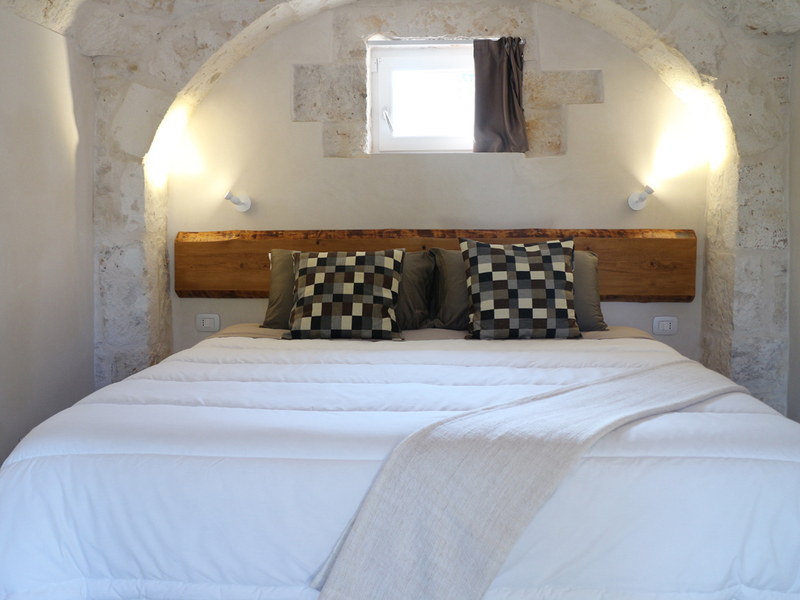 The bedrooms are three, each with its own private entrance and overlooking the pool. The new structure includes the dining area with a super-equipped kitchen. In the garden, in addition to fruit, a large variety of aromatic plants are grown. 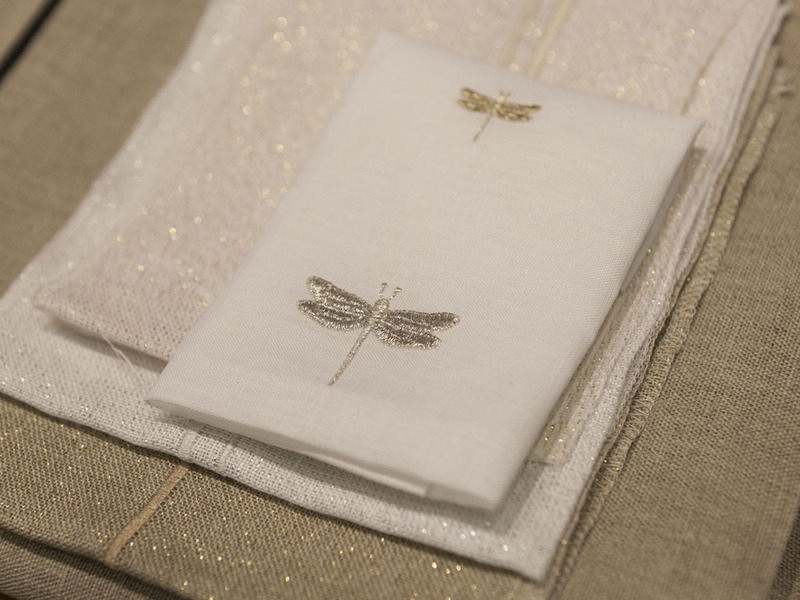 On request, you can arrange yoga and meditation lessons, cooking and local dance. Cresciuta professionalmente nel mondo dell’editoria e della comunicazione, oggi, con il progetto Fourexcellences, ha concretizzato un sogno. Attrice per hobby, yogi nell’anima e sportiva per vocazione, è un mix di caos, silenzio, musica, generosità, amore, amicizia, favole, vecchio, moderno, tablet, pc, libri e parole, parole, parole… Cosa saremmo senza? Si occupa di marketing e di digital web. Having grown professionally in the editorial and communication world, today with Fourexcellences, she has realized a dream. Performing as an actress as a hobby, a yogi in her soul, and an athlete by vocation, it’s a mix of chaos, silence, music, generosity, love, friendship, fairy tales, old, new, tablet, pc, books and words, words, words….What would we be without them? Gabriella Stefanini works in web marketing.